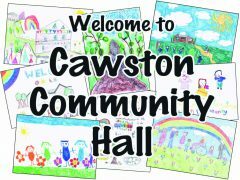 Cawston Community Hall is a newly built Community Hall serving the residents of Cawston Parish and Rugby. The purpose of the community hall is to provide the Parish of Cawston with a facility for all residents to enjoy and that will provide for their leisure, social and cultural activities and interests and thereby contribute to their quality of life and increase community spirit. The community hall accommodates a wide variety of activities, including, but not limited to, Parish Council Office and meetings, scouts, guides, women’s institute, dance and exercise classes, theatre, arts and sports groups, activities for parents, children and young people, faith groups, yoga, and other social, recreational, and informal learning activities and local resident private functions.